The Human Rights Court has released its set of yearly case statistics for 2017, with only 0.4 percent of judgments finding a human rights violation by the UK. As part of efforts to demystify the Human Rights Court’s operations, recently released statistics show that last year 512 cases were lodged against the UK. However, 99 percent of these cases were thrown out as ‘inadmissible’, with substantive decisions being made in only five cases. Of these, three judgments (0.6 percent) were in the UK’s favour and only two (0.4 percent) were against. What Were The Actual Decisions Made by the Court? The most notable case was that of Arthur Hutchinson in which the European Court upheld the repeated position of the English courts and government that Hutchinson’s ‘life must mean life’ sentence did not breach the Human Rights Convention. Hutchinson had challenged the UK government under Article 3 (the right against inhuman or degrading treatment) claiming that he had no hope of release. The court found there was no violation, thanks to recent clarification by the UK courts that the government does have powers of release for life prisoners in exceptional circumstances (such as only having a few weeks to live). The court also refused a final appeal by the family of Charlie Gard. The judgment lifted a ban on Great Ormond Street hospital removing life support from the 10-month old, who suffered from a rare genetic disease and brain damage. This was in line with the decision made by the UK’s Supreme Court. What Does It Mean for a Case to be Inadmissible? A case can be inadmissible for a number of reasons. There are technical reasons, such as being out of time to bring the case to court (the time limit is six months), or where an applicant hasn’t exhausted domestic remedies (this means that he or she must have taken the case to the highest possible UK court). Cases can also be found inadmissible for being ‘manifestly ill-founded’ or where there’s been no significant disadvantage caused by the alleged rights violation. Remind Me, What is the Human Rights Court Again? The Human Rights Court makes sure that states which have signed up to the Human Rights Convention stick by their obligations. The Human Rights Convention is the treaty of the Council of Europe and was drafted by a British-led Committee and backed by Winston Churchill, in response to the horrors of World War II. 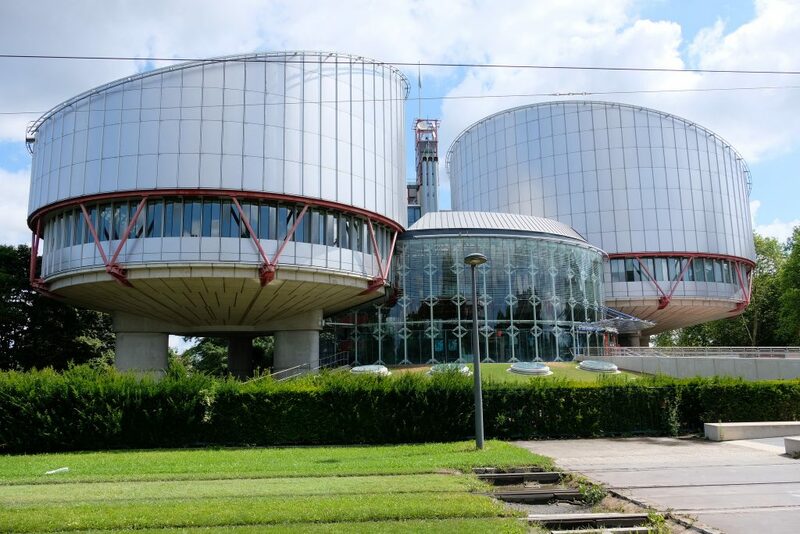 The Human Rights Convention and Council of Europe are completely separate from the European Union and the European Court of Justice. British courts are not bound per se by the judgments of the Human Rights Court, but they do have to ‘take them into account’. There has been talk in recent years by some politicians of Britain leaving the European Convention on Human Rights in favour of a ‘British Bill of Rights’ but the Prime Minister has confirmed that the UK will remain a signatory to the Convention for now at least. Matthew holds an MA(Hons) in Philosophy from the University of St. Andrews. He is currently reading Law as an affiliate at the University of Cambridge, for which he holds Lord Brougham and Hardwicke Scholarships from Lincolns Inn. Matthew is an editor at the Cambridge Law Review and has published and spoken on human rights, animal rights and internet ethics from both a philosophical and legal standpoint. View all posts by Matthew Keliris-Thomas.